American Atheists v. Duncan. The Becket Fund for Religious Liberty (n.d.). Retrieved from https://www.becketlaw.org/case/american-atheists-v-duncan/. American Atheists v. Duncan. (Apr. 04, 2019). https://www.becketlaw.org/case/american-atheists-v-duncan/. "American Atheists v. Duncan." The Becket Fund for Religious Liberty. Accessed [Apr. 04, 2019]. https://www.becketlaw.org/case/american-atheists-v-duncan/. *Now known as Davenport v. American Atheists. William J. Antoniewicz, a 27-year-old Utah state trooper, was shot to death on December 8, 1974 while making a routine traffic stop near the Utah-Wyoming border. 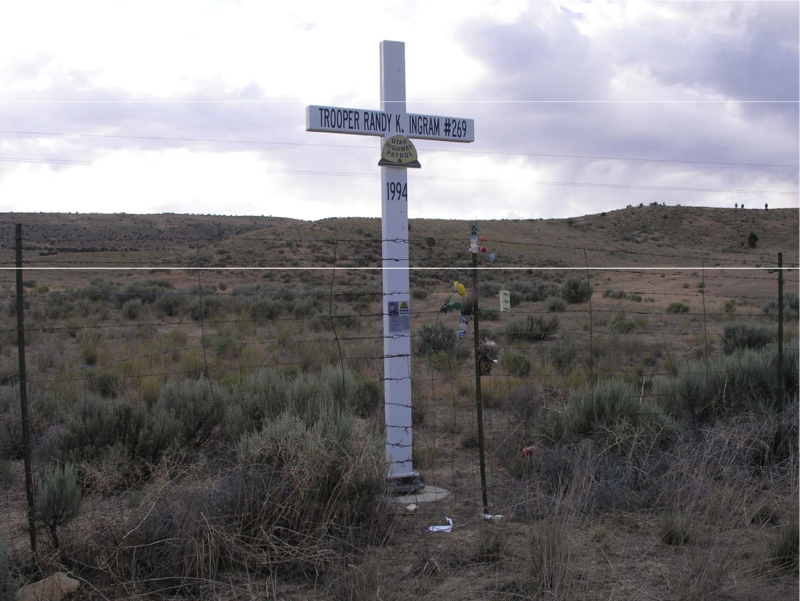 Many years later, the Utah Highway Patrol Association, a private group dedicated to supporting the state troopers, decided to erect a 12-foot memorial cross with a biographical plaque near the site of his death. The patrol association has since erected 13 more crosses in Utah commemorating all of its fallen patrolmen. In every case the trooper’s family has agreed to have a memorial cross set up. In December 2005, American Atheists, a Texas-based organization, sued in federal court, seeking to have the crosses removed. American Atheists claimed that Utah violated the Establishment Clause simply by allowing the patrol association to erect the privately owned, designed and erected memorial crosses on public property. In 2008 the Utah federal district court ruled in favor of the state, and American Atheists appealed the decision to the Tenth Circuit Circuit Court of Appeals in Denver. Becket filed an amicus brief in the Tenth Circuit Circuit on behalf of the States of Colorado, Kansas, New Mexico, and Oklahoma, arguing that the memorial crosses do not violate the Establishment Clause because they constitute private speech, not government speech. In February 2009, the states and Becket were granted their request to participate in oral argument before the Tenth CIrcuit. Becket attorney Luke Goodrich was designated Special Assistant Attorney General for the State of Colorado to argue the appeal for the amici, and presented argument in early March 2009. Sadly, the Tenth Circuit overturned the lower court’s decision.The full panel decided not to grant a rehearing before the full court. But what was remarkable is that the court’s decision focused in large part on Becket’s arguments, which were the strongest ones before the Court. Becket filed an amicus brief in support of Utah’s appeal to the Supreme Court in May of 2011. Although the Supreme Court denied review of this case, Justice Thomas believed review should be granted (see dissent here). Utah was represented by Alliance Defending Freedom, National Legal Foundation, Mylar Law, and Colorado’s Office of the Attorney General.